Islamic State militants claim to have gained control of the Jahar gas field in central Homs province from the Syrian army. The militants posted pictures on social media boasting of the capture, which they now consider part of their ‘Caliphate.’ The photos depict an Islamic State (IS, formerly ISIS) flag raised over the field as well as captured Syrian tanks and weapons, says SITE, a jihadist web monitoring service. IS says they have captured two tanks, seven four-wheel drive cars, and several machine guns after clashes with regime forces. Last Thursday, the insurgents took control of the Sha’ar gas field, where they killed at least 30 pro-government soldiers, according to the Syrian Observatory for Human Rights (SOHR). The mere fact that ISIS is still about to do that after a month of allied bombing shows you how ineffective the strikes truly are. But this battle that has been raging for months now is about one thing and one thing only – Israel. Today the Islamic State made the announcement that revealed their true intentions. For now, the Islamic State seems to be on a preordained unstoppable path that began with the formation of a caliphate in Iraq and ends in an attack on Jerusalem. Just how much they will be able to accomplish only God knows. But they are giving it their best shot which so far has been surprisingly effective. These are the days written of by the prophets, the actors have taken the stage as we watch the play unfold. Birth pangs, prophecy, and the blessed hope. 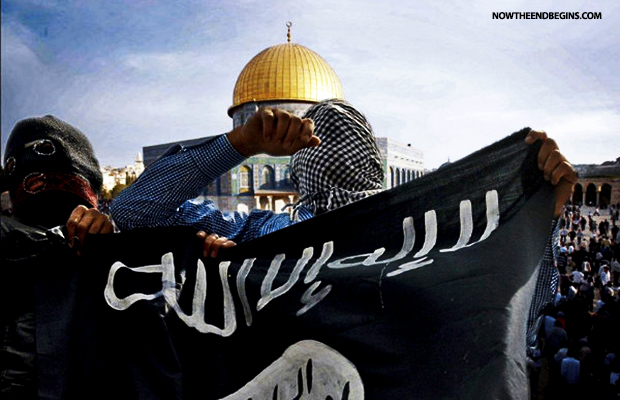 (ANSAmed) - CAIRO, NOVEMBER 3 - The Islamic State (ISIS) has issued a statement saying that an Islamic Caliphate will be established in the Sinai, calling it the ''first step towards the invasion of Jerusalem''. The statement threatens Egyptian security forces, which were suffered an attack on October 24. ISIS urged jihadists in the region to ''destroy police checkpoints and stations, launch RPGs at their gatherings and show the world that the Rule of God must be imposed''.